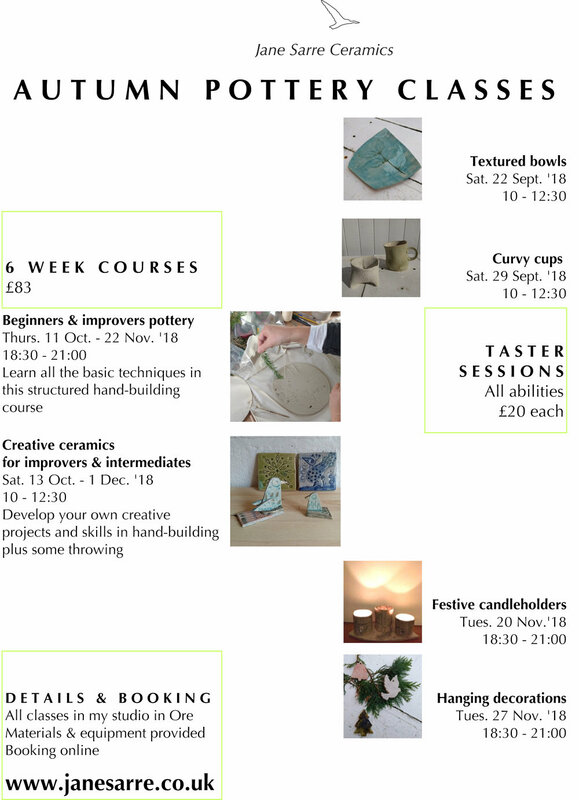 I'm offering an expanded programme of courses this autumn, with new one-off taster sessions for you to try your hand at clay plus the structured beginners/improvers course and a new improvers/intermediates course I'm very excited about which is more focussed on your creative intentions and uses skills development to achieve those goals. Full details and booking are online in the courses section. I hope some of you will be interested to find out more and come along to have a go!